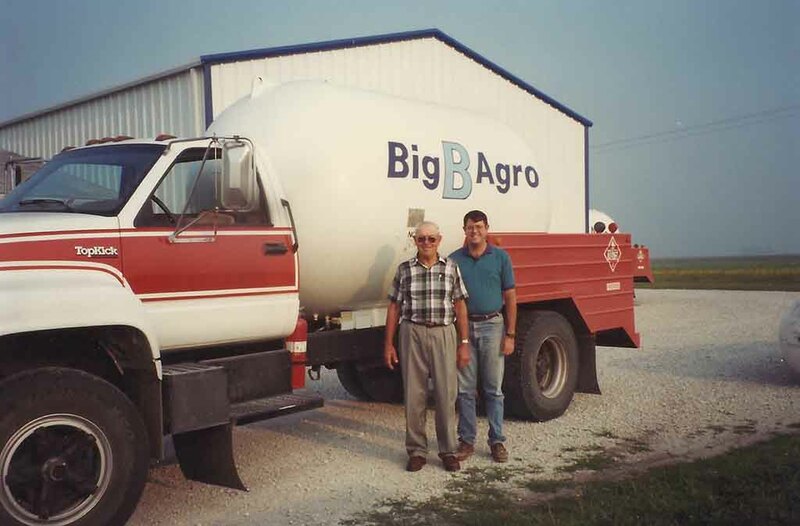 Big B Agro is a family owned business providing prompt, safe, and reliable propane and farm fuel services to homes, farms, and businesses in Central Illinois since 1974. Founder John Behrends, having experience as an agent for Standard Oil Company, established the company with integrity as its core value. Today, John’s son Mark continues that pledge to integrity with the promise of “Quality Products, at Competitive Prices, With the Service You Deserve.” The next generation is already working to continue John’s vision with grandsons Chris Wentworth (Sales and Service Manager), Daniel Wentworth, and Mitch Behrends (Delivery Specialist) already active in the business. We pride ourselves on being one of the best providers of propane and farm fuels in the area. Since 1974 our goal has remained the same: to develop long-term mutually beneficial business relationships with the people of Macon, Logan, and DeWitt counties. We continue to strive for this through delivery excellence, quality promise, and consistent value. Contact us today to learn more about Big B Agro experience.